"Skinner has given new meaning to the phrase 'The Sins of the father shall be paid through the son.'" Being re-published on Halloween, what better way to unwind after peeling kids out of costumes, washing off layers of face-paint and dealing with kids bouncing off the walls with sugar highs than curling up with a fun, short, bloody supernatural read that puts a whole new twist in the Fallen Angel genre? Many who have read Angle Kin without having had the benefit of reading Angel Bait may have wondered who the mysterious Ionie was, and just how she became an honorary member of the team, or more appropriately, what. Turns out her ties run deeper than her relationship with Jarid. Referred to by the Others as a Scribe, reporter Ionie Gifford has always been bound and determined to find her mother's killer. So when she finds one of the infamous Bound standing in her boss' office needing her help she believes its the answer to her prayers, and strikes a deal in her favor. But she is far from naive and is also determined to discover the real reason Angels, half or not, would need to seek her out of all people. When she learns the truth it may shatter more than her heart. After being saved from an imminent death, Jarrid and his brothers learn the hard way at a very tender young age, they were saved only to serve. Years of servitude, belittlement, disrespect and punishment, has lead to the teams utter hatred of Angel kind. When Jarid learns a piece of information that could lead to The Bound's freedom he sets up what he feels is a concrete plan. What he hadn't planned on was falling in love with the bait. In exquisite detail Tricia Skinner shows the city of Detroit in a whole new light. One in which the murder count is still high but far beyond just random. 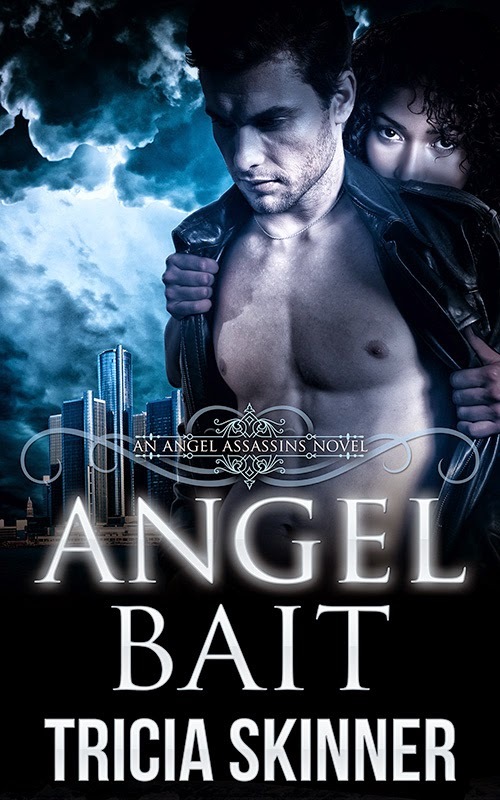 Angel Bait sheds more light on the history of the Bound Ones, their punishment and the Directorate that sees them as nothing more than abominations that should not be allowed to live. I highly recommend this book to both lovers of Urban Fantasy and Fallen Angels, but only to those who are not the faint of heart. More than a little bit of blood, violence, loyalty and love, Angel Bait is one of those prequels that should not be skipped. Today is the big day! The prequel installment in Tricia Skinner's ANGEL ASSASSINS series is being re-released into the wild, and will be available on Kindle at the discounted price of $0.99 for a limited time (exclusive to Amazon for 90 days). Please note that if you own the old ebook, you can upgrade for free! I’m Tricia Skinner and I write Romantic Urban Fantasy. I’m a former journalist who discovered my inspiration to write fiction as an escape from “real life.” My reading tastes are all over the place, but I’m mainly drawn to fantasy (and its subgenres), paranormal, sci-fi, and history. When I’m not writing, I’m a newbie “green” practitioner, strength training fan, and a technology geek. I’m a mother and a wife. My family includes two Great Danes. I’m also a gamer. I enjoy interacting with my fellow geeks and helping other writers. I’m represented by Laurie McLean of Fuse Literary.